Gimme more of that sweet, sweet music! This is me and my Strat. She sings for me. I also sell, play and perform live with my own custom made didjerdoos. Yet another passion is the harmonica (mouth harp) which I have also performed live with. My next passion is the sea. More appropriately, "was" the sea. I served a total of eleven years in the US Navy and Navy Reserves. 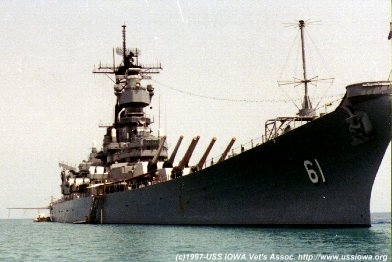 My ship (above), the USS IOWA BB-61, brings me great pride. I'm a battleship sailor...wow. 58,000 tons of WWII armor and armament. 9 16" guns, 17" of turret armor. I sailed with her from 83-88..plankowner...wow! I traveled the world. The Carribean, the North Atlantic, the Red Sea, the Indian Ocean, and more. I visited Rome, London, Berlin (before the wall came down,) Istanbul, Oslo, and much more. 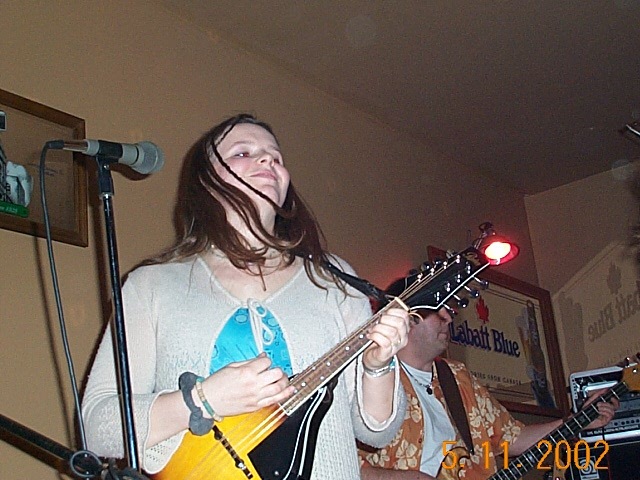 For up to date local music news, check out Blue Moon Management. 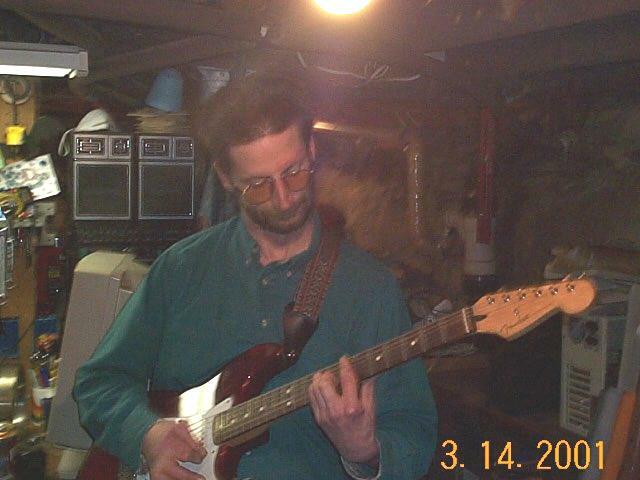 My close friend, John Streed, "John Boy," has been running the local music scene for many years. He has worked with bands such as: 5 Cubic Feet(Jamestown), Porcelian Bus Drivers (Jamestown), Peacefield (Pittsburgh), Sunny Weather (Ithaca), Brett Cain Band (Wheeling), The Bionic Groove (Warren), Hypnotic Clambake (Rochester), and is managing Big Leg Emma (Jamestown), to name a few. Check out his site. 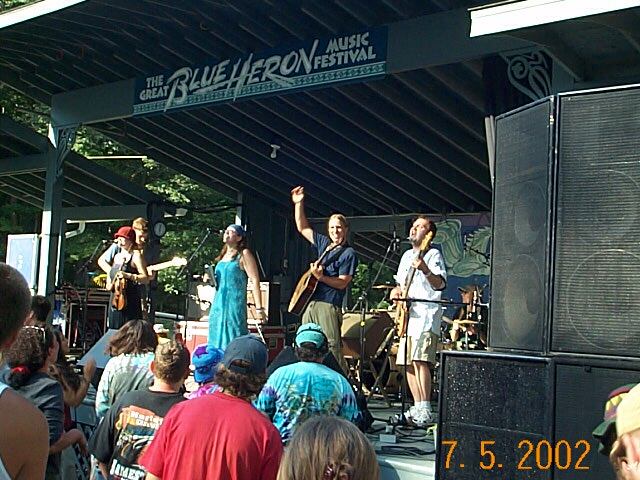 Big Leg Emma Launched the 2002 Great Blue Heron Festival! Tons of fun, and the warm summer sounds of my friends. Thank You! Once again, the soothing jams of Big Leg Emma will be heard amidst the peepers and the drone of indigenous spirits... Join us at the Great Blue Heron Festival. 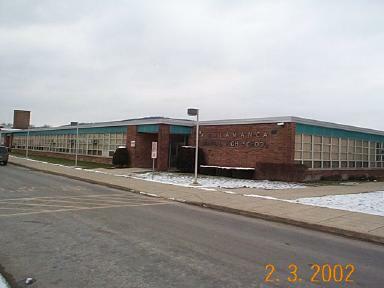 Here's a shot of my high school. Many of my family and friends live in Salamanca, and so... I make it a geas to return periodically. Salamanca... a striving metropolis nestled deep within the foot hills of the enchated mountains.